Embryology is the branch of medicine concerned with the study of embryos and their development. In this article, we outline the processes that take place within weeks 1-3 of embryonic development – cellular division, differentiation and gastrulation. We shall also look at the clinical applications of this knowledge. The first stage in the development of a fetus is fertilisation – the process by which the male sperm and female egg join together. Approximately thirty hours after fertilisation, the fertilised oocyte (egg) splits into two cells of equal size; called blastomeres. After three more divisions, there are 16 cells. At this point, the group of cells is referred to as the morula. Outer cell mass (trophoblast) – contacts with the endometrium of the uterus to facilitate implantation and the formation of the placenta. Inner cell mass (embryoblast) – responsible for the formation of the embryo itself. 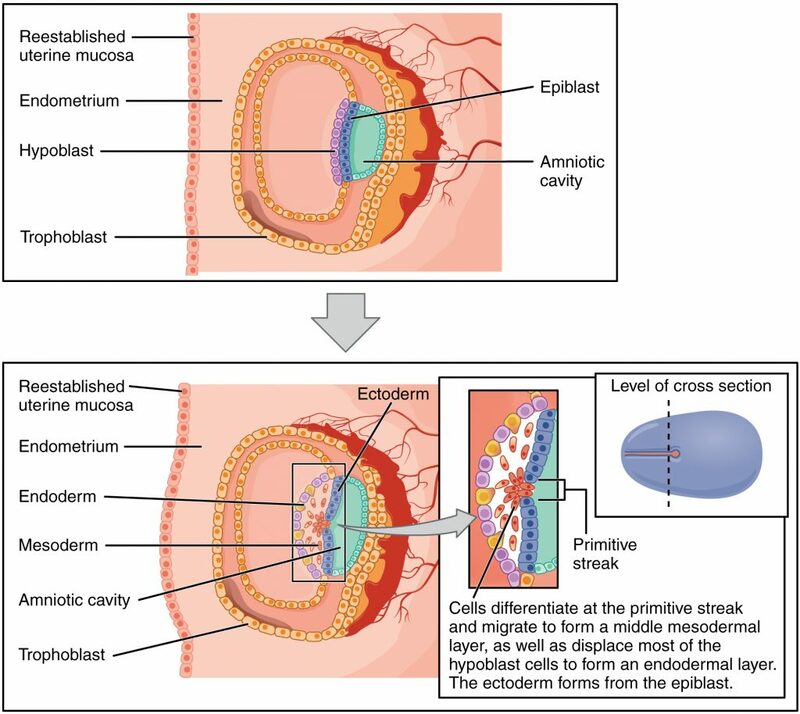 During the second week, the trophoblast and embryoblast divide into increasingly specialised cell types. The trophoblast divides into the syncytiotrophoblast and cytotrophoblast. The embryoblast divides into the epiblast and hypoblast, forming a two-layered structure; the bilaminar disk. The amniotic cavity forms within the epiblast. 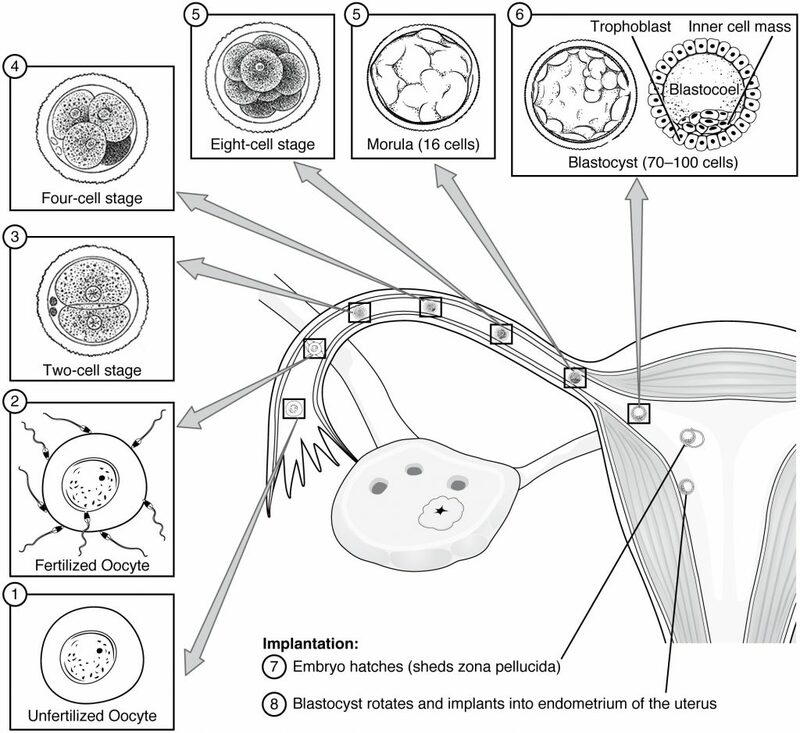 Fig 1 – The initial cellular divisions after fertilisation. After the initial rounds of cellular divisions, the embryo must implant into the endometrium of the uterus. During this process, the syncytiotrophoblast becomes continuous with the uterus – such that maternal blood vessels (known as sinusoids) invade the spaces within the syncytiotrophoblast (known as lacunae). At this point, uteroplacental circulation has begun; and further embryonic development can occur. In placenta praevia, implantation of the embryo occurs in the lower uterine segment (instead of in the normal position of the upper posterior uterine wall). In the 3rd week of embryonic development, the cells of the bilaminar disk (epiblast and hypoblast) undergo a highly specialised process called gastrulation. 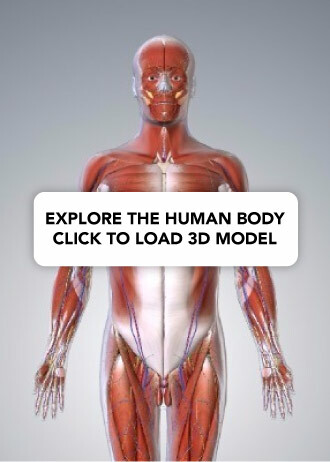 During this process, the two cell layers become three germ cell layers, and the bodily axes observed in the mature adult are created. Gastrulation is a process of cellular rearrangement which involves migration, invagination and differentiation of the epiblast. It is largely controlled and orchestrated by the primitive streak. The primitive streak is a groove in the midline of the epiblast which appears during the third week. Within the primitive streak lies a primitive node at the cranial end, and within the primitive node lies the primitive pit. Endoderm – formed by epiblast cells that migrate through the primitive pit and displace the hypoblast cells. Mesoderm – formed by epiblast cells that migrate through the primitive pit and lie between the epiblast layer and the newly created endoderm. Ectoderm – formed by the epiblast cells that remain in position. These three cell layers are then responsible for forming the different tissues of the fetus. Fig 2 – Formation of the three primary germ layers occurs during the third week of development. The embryo at this stage is only a few millimeters in length. The process of gastrulation occurs during which week of development? Which of the following arises from the mesoderm? Which of the following structures is NOT present following gastrulation?